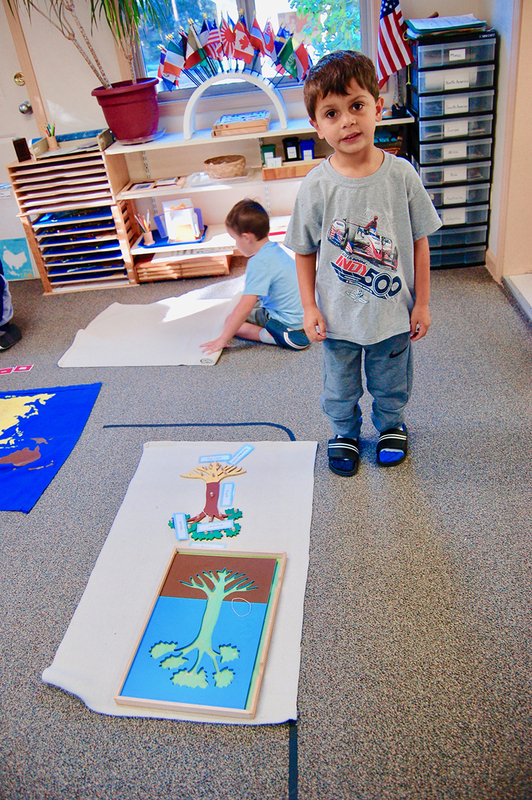 Each year, the Creative Montessori School offers a summer program that is open to children enrolled in our school, and to children who may want to come just for the summer. Our staff plans interesting summer school activities, which include the regular Montessori curriculum, outdoor games and playtime, special arts and crafts projects, diverse unit and nature studies. We have two outside play areas that we use. One has a lawn and is ideal for sprinklers. The other has an area for scooters and tricycles. Both have a “big toy” and other climbing and play areas, as well as child-sized picnic tables for arts and crafts. Our summer school hours are the same as during the school year. We are open from 7:00 AM to 6:00 PM and offer full time care or 9:00 AM to 3:00 PM or morning and afternoon classes. You can sign up for the summer weeks that you prefer on a space- available basis.